A Thing (or Two) About Holly Jean: Will He Ever Marry Me?! Will He Ever Marry Me?! 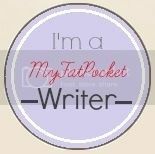 This week on my Ask Holly Jean column at MyFatPocket.com , I respond to a girl's dilemma of having been with a guy for 3 years, and it seems like he never wants to get married! Should she stay on or cut her losses and leave?? What would you do in her situation? Click Here To Read the whole dilemma and my answer. Let's see how is the chap reaction. Ultimately decision can be made. hmm.. but this reader is in Australia. I think if it were in SG, and she went to apply for HDB ... he'd flip out! I think guys don't like feeling like they've been forced/tricked/cornered into something... right?? I don't know - what are your ideas Holly? Shouldn't marriage happen naturally and not be a need, but a natural course of action, so let's say youre with a guy for years and years and you both love each other a lot. Is that not enough? Do we really need marriage to seal the deal, so to speak? Sorry for my wrong plug assumption.. Preferred to believe that <2 years on hold to 'calibrate' the chap mindset would be fair for both??? HI jess- yeah marriage shld happen naturally... but i guess in this case.. one party after some years, became naturally ready for the next step while her partner is FAR from it. I'm quite traditional when it comes to family and marriage actually. I know many who have kids etc, and don't legally marry. I don't judge them, its fine as long as they are happy, yeah? Well marriage do give people some proper form of legal ownership of, for instance a flat. Or a sense of security, both financially or emotionally. Naturally i think regardless of which gender, when you are married you are ought to be more sensible and rational. It gives each other some form of promises/commitments or status because the marriage is in the eyes of the law. Unlike when there's no marriage, there is not much of a sense of responsibility or liability and either party may ditch the other one on impulse and look for someone else.